One Rock and Roll’s greatest bands are on tour again. 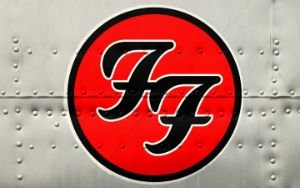 Sonic Highway is the latest album from the Foo Fighters and they are selling out select small clubs and large stadiums all over the US in support of their new album and are not pulling any punches. Don’t miss your Chance to see Dave Grohl and the Foo Fighters perform in what is sure to be a memorable tour as they play the Friendly confines of Wrigley field and their 20th Anniversary Show at RFK Stadium, among other special performances. Order your tickets online today or call (855) 305-4862 for tickets. The following events and venues match your search for “Foo Fighters”. To sort the list, click on the column header. To find tickets for the given event, date & time, click the tickets link in that row. To find events taking place at a matching venue, click that venue name. @given2fly @PearlJam @CameronCrowe Dave Grohl!